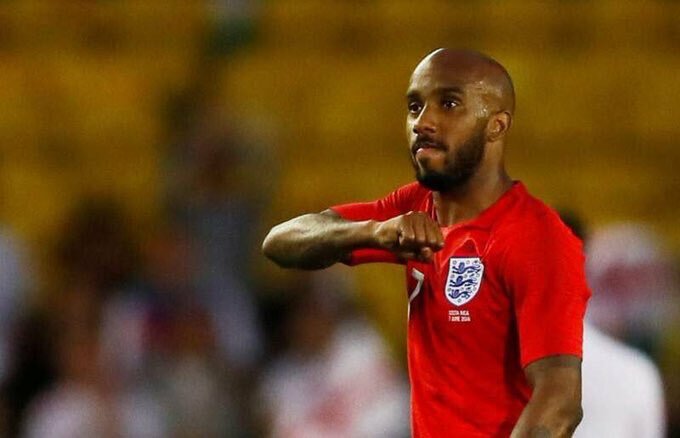 Fabian Delph parading around an Elland Road pitch that he had just graced with a majestic England performance and giving the Leeds salute to all four sides of the ground, was a perfect ending to quite a month at the Old Peacock. Wall-to-wall sunshine, bank holidays, family fundays, end-of-season parties, world title boxing and then England’s triumphant send-off for the World Cup, all eyes have been on our little part of LS11 and we’ve loved every minute of it. The curtain finally came down on a pretty turgid season at Leeds United, but at least they had the courtesy to win their final game against Queen’s Park Rangers, and the EFL had the good grace to stage the final game on a bank holiday Sunday with a lunchtime Kick-Off. So the Old Peacock beer garden was awash with people very happy to see the back of another wasted season and the party atmosphere lasted long into the night. Since then of course, we have had the strange post-season tour to Myanmar and manager Paul Heckingbottom has been relieved of his duties and as I write, we await the identity of the new manager. But on face value it appears that Leeds United have finally decided ‘enough’s enough’ and are attempting their version of ‘going for it’. We await confirmation of what that actually is. While we have attempted to put Leeds United in a small box under the stairs for the summer and go out and actually enjoy life, there have been plenty of other things to occupy our time. Preparations for the Josh Warrington fight were surrounded by some uncertainty at the pub. It was a pretty unique event for us and for Elland Road, and it was difficult to predict how many people would be around the pub and what time they would start coming. 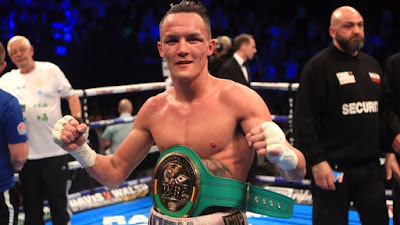 Of course there were things happening around the ground all afternoon and the fights on the undercard started quite early, but the main event was not until nearly 10pm. Consequently, we took a bit of a flier on how many bar staff we needed and at what times, and all in all, it went really well. We were blessed by the weather and naturally, Josh’s win was celebrated long and hard. It was a fantastic night for the city of Leeds and a real festival of what we do so well. Our Family Funday soon followed on the next bank holiday weekend and once again, we couldn’t have asked for better weather. 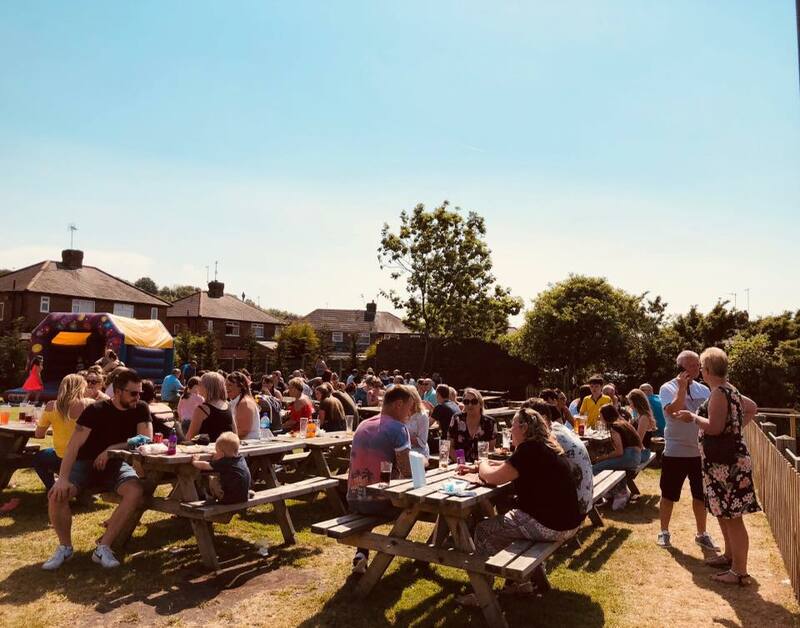 The beer garden was overflowing all day and the pub was a hive of activity with face-painting, tug-of-war competitions and live music all day. There was plenty to eat and obviously the beer was flowing too, and it seems that everyone there, including the kids, had a great time. We finished off a hectic few weeks with Elland Road’s staging of an England international, for the first time since 2002. We are used to seeing sell-out crowds at Elland Road, so this was nothing new to us, but it was good to see fans of several different clubs mixing nicely in the pub both before and after the game. We saw flags from clubs like Arsenal and Hull City in the beer garden, but everyone had England on their minds and there was a real positive atmosphere. And so now we move on to the World Cup itself. We’ve played our part in sending the team off to Russia with a wealth of goodwill and positivity behind them, now we sit back and watch it unfold. And you can do that perfectly well in the cosy confines of the Old Peacock. We will be showing every game of the 2018 World Cup on our big screens throughout the month long tournament. There are few better feelings than taking an afternoon off work and settling down in your local with a pint and something special ordered from our menu and having a feast of football played out before you. That can be you and if previous tournaments are anything to go by, the Old Peacock is going to be a pretty special place over the next few weeks. England might not win the tournament, but a reduction in expectation and a bit less of the usual OTT hullabaloo hopefully means there is a little less pressure on the team and they can go to Russia and express themselves naturally, without feeling the weight of the nation on their shoulders. All we know is that you can watch it here with us while supping your favourite beers, with your favourite people and in your favourite place. It’s been an amazing month, but the fun times haven’t ended yet, because football’s coming home to the Old Peacock.